At first glance, many people find the Youngevity online store to be a bit confusing because of the shear volume and diversity of products we offer. While I think everything we sell is above and beyond the quality of your average health food store supplements, there are certain standards I have for the products I use and recommend to people. So I created this list of what I see as the top products that Youngevity has. This isn’t to say that the supplements that didn’t make it on my list aren’t worth trying, or even using regularly, but I believe these to be the best value for your dollar. Some of the products offered in the store strike me as being redundant if you are already taking Beyond Tangy Tangerine 2.0, which is our flagship product at Youngevity. It is a reason in and of itself to join to permanently get 30% savings (and further, to get free shipping worldwide you can set it to autoship). Of course you could opt for those other supplements instead of BTT 2.0 if you wanted, but liquid nutritional supplementation (which is what you get when you use BTT 2.0) is the preferred method for optimal absorption. The other factor that not many people are aware of is that with the exception of a few forms of supplements (ex. magnesium bisglycinate > magnesium citrate), whole food supplements are always superior in their absorption rates. Furthermore many synthetic vitamins (often made from things like coal tar, various crushed up rocks, or other chemicals) can have a somewhat toxic effect on the body. While not as severe as the effects of many pharmaceutical drugs, it’s easy to understand how nutrients extracted from biological sources (plants, animals, fungus, and/or bacteria) are superior to vitamins and minerals from non-biological sources. These first 3 Youngevity products are the top ones I think everyone should use. -Beyond Tangy Tangerine 2.0: It is one of the most remarkable and possibly most complete whole food supplements on the planet. 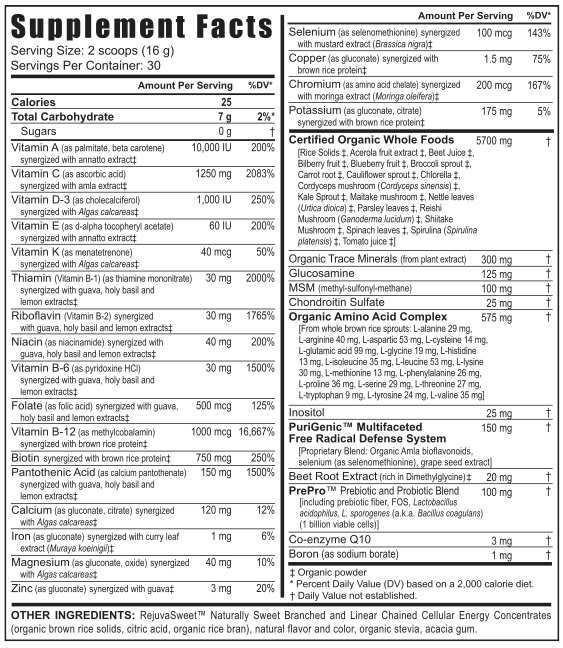 Its improvement over Beyond Tangy Tangerine 1.0 is that the 16 essential vitamins it contains are extracted from food and herb sources, whereas before they were largely from synthetic supplement sources. The 60 Organic Trace Minerals which are in the same quantity in both BTT 1.0 and BTT 2.0, are already from whole food sources (quite similar to Shilajit, but from an unpetrified ancient forest mine in Utah) and are extremely bioavailable. There’s some extra minerals added to both formulations and once again the improvement with BTT 2.0 is that these are now entirely from food sources. An antioxidant is essentially the pigment of colour (there’s a few colourless ones too) in a food and while not actually “essential nutrients”, they can help our body in preventing and fending off a wide array of diseases and cellular damage. The 1 other major difference between the two version of BTT is that 2.0 also has some probiotics added (1 billion per serving! ), which is an incredibly good thing to get an extra daily dose of! Grab a canister of your own to try by clicking here. To get the free 30% savings on all Youngevity products, you have to create an account as a "preferred customer". By clicking "I Want to Join" on this page here. You select your country and then fill out the form. Be sure to select the "*your country's name* PREFERRED CUSTOMER KIT" as shown below. It will look different if you're a US resident. You can of course sign up for the ASSOCIATE KIT instead if you'd like to begin marketing Youngevity products right away. Read more about why you should consider becoming a Youngevity distributor by clicking here. Whichever option you choose you will still get the 30% discount and also have the option of selecting autoship to get free shipping. 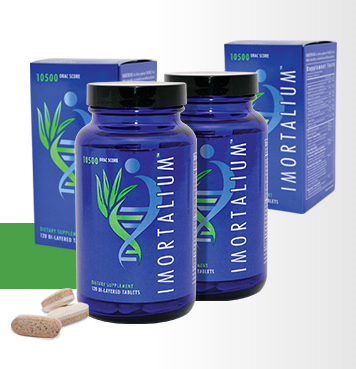 -Imortalium: For years I had been looking for a supplement that I could fully endorse that specifically targeted numerous age related processes in the body all at once. I had casually mentioned in past videos of mine that resveratrol was a great nutrient to include in one’s supplement regime, but I had never really said whether I thought there was one company in particular that was above and beyond the others in terms of quality. I left it as something people could consider and decide for themselves. After my first look at the supplement facts for Imortalium, I was astonished at how many different systems one dose of this supplement worked on. On top of that, much like Beyond Tangy Tangerine 2.0, it was formulated almost entirely with whole food derived nutrients! The research clearly indicates that trans-resveratrol is the ideal form of resveratrol to take and that 20mg is a good maintenance level dose, but some companies have up to 100mg per dose. 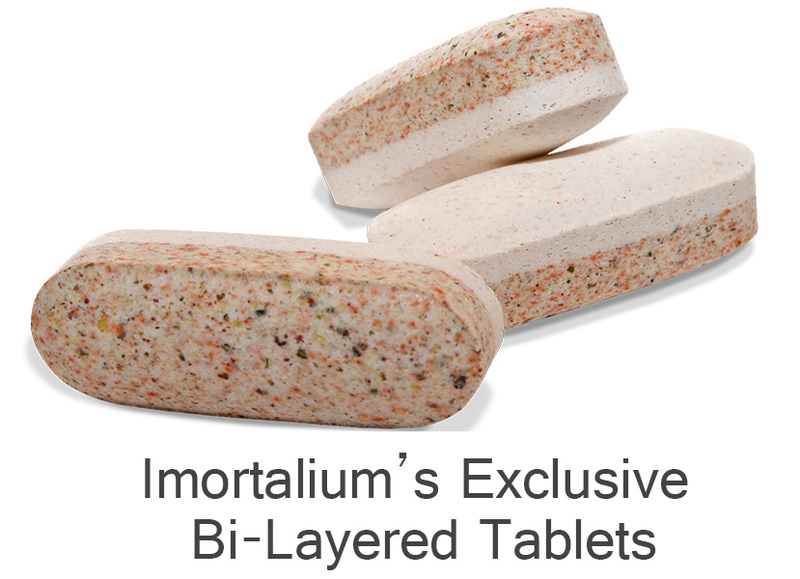 There’s 125mg of trans-resveratrol per dose in Imortalium! The resveratrol is part of the telomere support aspect of this formulation. This telomere support also includes glutathione, catalase, superoxide dismutase (SOD), grape seed extract, and more. Click here to get a bottle to try. The ORAC score of a single dose of Imortalium is 10,500! The various fruit and vegetable extracts which result in this high antioxidant level also provide direct benefits to repairing and preserving the health of your skin, eyesight, brain function, cardiovascular system and more. Another unique series of compounds within this whole food supplement are fucoidan extracts from a variety of seaweeds and algae. Fucoidan is a polysaccharide that is quickly gaining interest in research for its apparent anti-cancer effects as well as its remarkable benefits to every other system of the body from cardiovascular, to liver function, to digestion. -Ultimate EFA Plus: Anyone who is familiar with my work knows that I’m critical of excess polyunsaturated fat consumption. I talk about why most people’s understanding of the nutritional effects of the various types of fats that exist is completely backwards in this video of mine here. That being said there is a good portion of the population that can't convert enough short chain omega 3s to longer chain omega 3s. You can get long chain omega 3s (EPA and DHA) from either whole food sources (seafood mostly), or from a supplemental source. Since a lot of seafood is contaminated with varying levels of toxic heavy metals, I don’t recommend its regular consumption without knowing which species of fish/shellfish are the least toxic. Instead supplementation is a great way for getting a consistent and controlled dose of these fatty acids which can help those who need it. You should consider getting tested to see if you truly require them too as some people have enough of an ability to convert the shorter chain omega 3 ALA to the longer chain EPA and DHA. I shouldn't have to list all of their benefits as the media covers it exhaustively, but better brain function, lower risk of cardiac diseases, as well healthier joints and lower inflammation throughout the body are just a few of the benefits that can come from taking a marine oil. 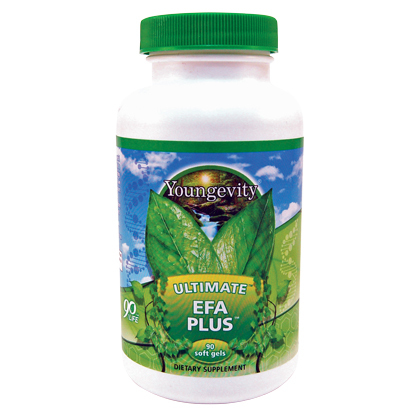 DHA, EPA, and especially GLA are the 3 fats in Ultimate EFA Plus (click here to get it) that are the most needed by people and that afford these benefits. These next supplements are best used alongside, or in place of 1 or more of the 3 essential products mentioned above. 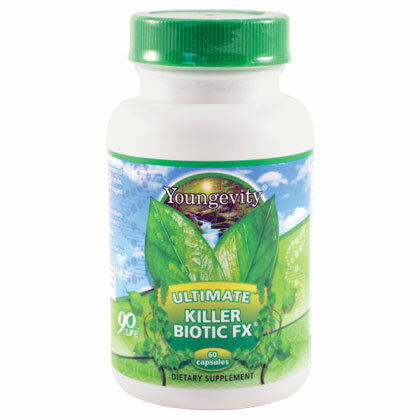 -Ultimate Killer Biotic Fx: It is a phenomenal blend of immune-modulating herbs and super foods. Most people think of the immune systems functioning in terms of a black and white, it's either strong or it's weak. What they don’t realize is that the immune system is dozens of different systems in the body working together in concert in order to target and take out a wide variety harmful organisms that try to assault our body. One part of your immune system could be lagging behind other parts which leaves you susceptible to one type of pathogen, while another part of your immune system could be so overactive that it’s attacking your own body and contributing to autoimmune problems (such as what happens with allergies, various digestive disorders, and even arthritis). While the nutrients, probiotics, and minerals in Beyond Tangy Tangerine 2.0 provide the building blocks for a lot of your immune system, if we were to use a military metaphor, BTT 2.0 creates what is like having a wide selection of recruits for an army. What immune-modulating herbs and super foods do is to provide those recruits with the right training and weaponry to turn them into elite level special forces who are going to be efficient in taking out the enemy, without simultaneously taking out civilians (healthy cells)! The amount of research and information out on colostrum, reishi, cordyceps, propolis, garlic, and the other ingredients in this immune support formula will show you how beneficial it is. All of these ingredients improve your immune system through long term use, which means it isn’t a formula you take once you’ve fallen ill. It should be used preventatively. Since 1 bottle is a 2 month supply, you could consider cycling on and off of it so that you’re using around 2-4 bottles per year. Click here to get a bottle. -Cell Shield RTQ: This product is excellent in its own right, however if you’re already taking Imortalium it’d be a waste to take Cell Shield RTQ as well. At about $40 per 30 day supply compared to Imortalium’s $58, some people may prefer it since it's a slightly cheaper source of resveratrol that comes along with 2 other potent antioxidants (quercetin and a turmeric root extract). This is perfectly alright if they don’t mind forgoing the wide range of other nutrients and compounds that makes Imortalium so incredible. At a whopping 200mg of resveratrol per dose, you can rest assured you’re getting adequate activation of telomerase in your body which helps slow down the degradation of (and maybe even extend the length of) your telomeres. 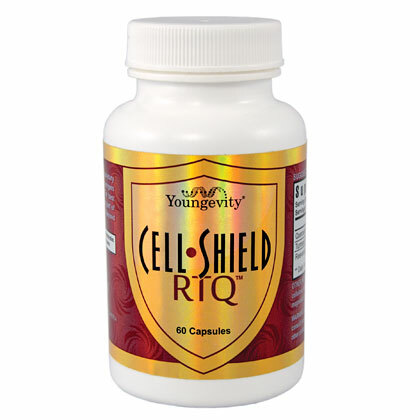 You can get Cell Shield RTQ by clicking here. There's an even more affordable resveratrol supplement Youngevity offers called Tru Blue, which also has blueberry extracts in it. You can check it out by clicking here. 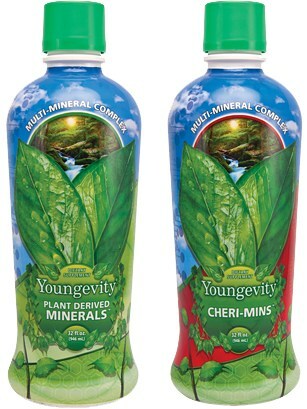 -Ultimate Mineral Caps: One of the core aspects of BTT 2.0 and many other products offered at Youngevity is that they include a dose of 60 Organic Trace Minerals derived from ancient plants that were compacted and preserved many millions of years ago. This resulted in a deposit of mineral rich shale located in Utah. The unique thing about this shale is the minerals are not completely broken back down into inorganic material yet, thus they are still classified as organic minerals and are directly usable by the body! 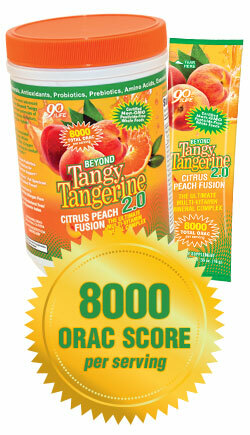 1 dose of Beyond Tangy Tangerine has 300mg of this colloidal mineral powder. There’s a variety of reasons you might want to increase your dose of minerals and trace minerals, a major one being if you’re just beginning the process of recovering from a lifetime of consuming extremely mineral deficient foods. To get extra minerals beyond the 300mg in BTT 2.0, you can use one of these 3 products that all include 600mg per dose of these minerals. You can get Ultimate Mineral Caps by clicking here (ideal for travel). You can get Plant Derived Minerals by clicking here (liquid for optimal absorption). You can also get Cheri Mins by clicking here﻿ (flavoured to appeal to kids... or adults who like a better flavour!). 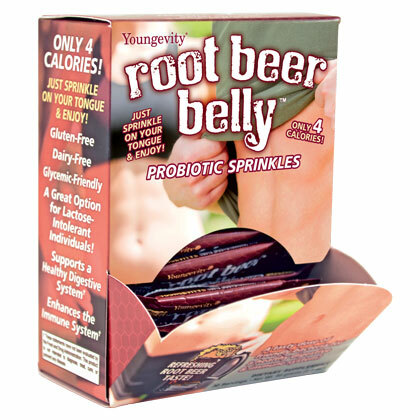 -Root Beer Belly: It is a tasty, easy to use mix of 5 different strains of the most beneficial probiotic bacteria. You get 5 billion of them in each dose. This is an essential supplement if you're dealing with/or repairing damage you may have incurred from a lifetime of unrestrained antibiotic use, or you have rampantly consumed foods that harm your digestion (gluten, soy, pasteurized dairy products, etc). It is also extremely good to have a box of this at home in your cupboard, or to take several packets with you when travelling in order to combat food poisoning or other stomach bugs you might pick up rather suddenly. Check out Root Beer Belly by clicking here. This final section contains various supplements that are very specific to addressing unique health challenges.